I won’t beat around the bush. 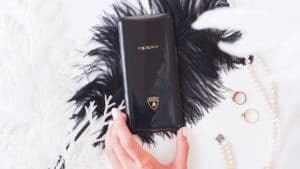 This is the OPPO Find X Lamborghini Edition and it’s worth almost US$ 2,000 or US$ 1,980 to be precise. What’s so special about it? See that seal? It’s an actual Lamborghini. No, really, from the Italian luxury carmaker. I got my hands on this delightful device and I’ve been using it for a few weeks. So, now that I have my own Lambo, what changed? 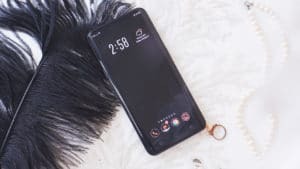 Did using this expensive AF phone make me a classier person? Will I get more street cred because of my flashy phone? 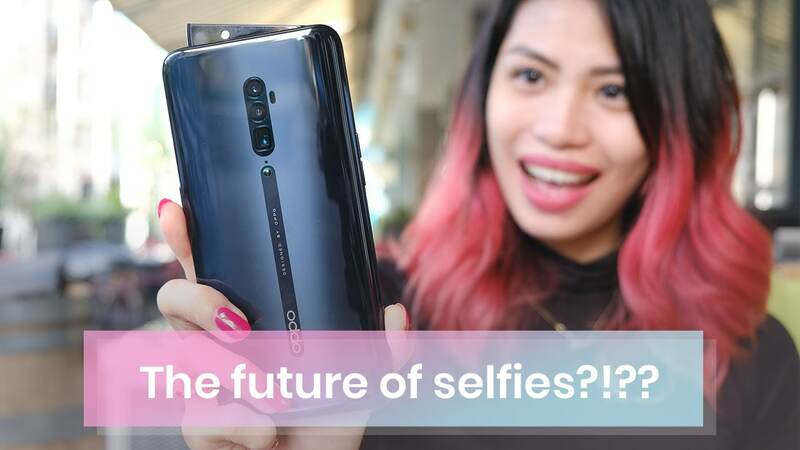 What does holding US$ 2,000 in form of a phone feel like? 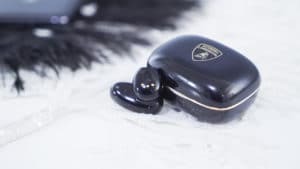 Because owning such a luxurious device has made me a more gracious person, I shall walk you through my experiences with the Lambo. 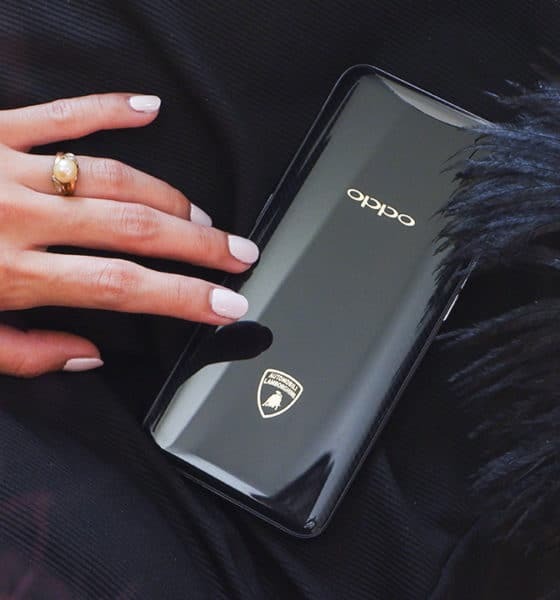 The OPPO Find X Lamborghini Edition has the same signature bezel-less screen of the regular Find X. On the back, glaring in gold is the Lamborghini logo. 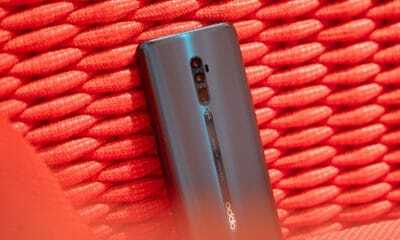 This phone also has a different back design on that smooth glass back; almost elusive striped markings dubbed by OPPO as the black carbon pattern adorns the whole body. Of course, there’s a special edition Lambo theme because if you’re paying that much for a phone, they better throw in a custom theme! I’ve said it about the normal Find X and I’ll say it again about this Lambo phone: It’s a pleasure to hold. The weight, feel, and that wide, crisp screen make everything feel premium. The only downside is that the normal OPPO Find X and the Lambo phone are similarly great — which is a good thing if you own the normal Find X, but not such a great deal if you paid the US$ 825 difference for the more expensive phone. 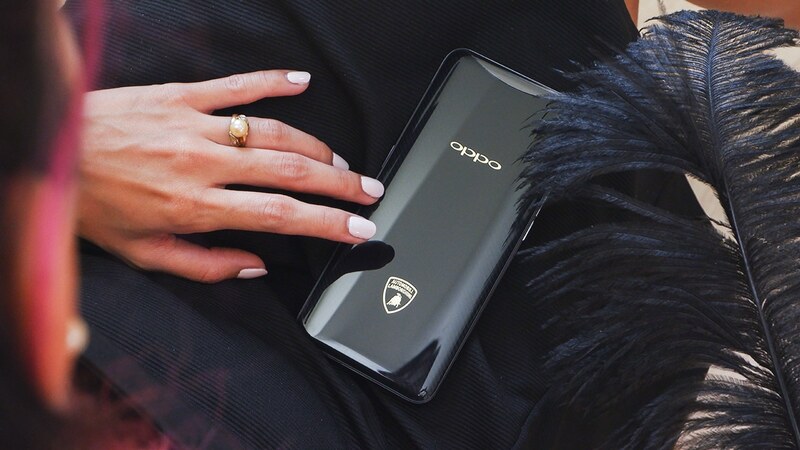 Nonetheless, the Lambo phone does give a classier spin to the phone in black and gold. I mean, if you hold it strategically enough, people should take notice of that Lamborghini logo, right? Touting such an expensive device day and night is not as easy as it looks. Because I’m secretly not rich (sad reacts 😢), I almost had a mini heart attack handling such an expensive thing that’s all glass. 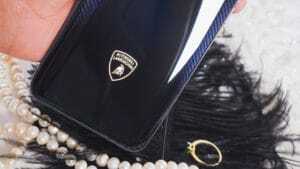 Thankfully, the phone came with a phone case that sports the same Lamborghini logo and stripe pattern that onlookers can accidentally ogle so they can realize how much my phone costs. As you may have noticed, I busted out classy AF props for shooting this particular device. I figured this was as good a time as any to amp up the set design — it’s not every day your phone costs more than 18 bottles of Moet. 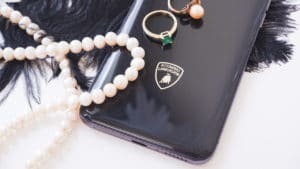 Sans the bottles of champagne, we did discover that the Lamborghini Find X looks great with classy rich girl outfits complete with pearl ensemble. I felt straight out of Gossip Girl, except even Blair Waldorf didn’t own a Lamborghini phone, did she? 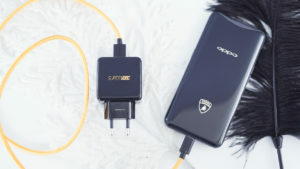 The best thing about this phone comes in form of a brightly colored charger cord and Lamborghini-branded power brick. I sh!t you not (excuse my crassness but this tech deserves the profanity), this phone charges from zero to 100 in 35 minutes. Ten minutes of charging gives you 37 percent and thirty minutes of charging amounts to a whopping 92 percent. Never have I seen such fast charging times. It’s unreal. Honestly, charging became such an easy thing for me since using this phone. I just plug it in and it’ll completely charge before you can finish saying supercalifragilistic-holy-fudge-this-phone-is-so-expensive-docious! Real talk though, because I don’t plug this phone in as much as you would other phones (shout-out to iPhone users), think of all the money you can save in terms of broken cords! OPPO also threw in a pair of matching wireless earbuds because someone had to justify paying that much money for this set. Different yet exactly the same? At the end of the day, it’s still the same great phone. The features that made me love the normal Find X are still the same features I enjoy on this Lambo: the fast face unlock feature, the awesome display, and the pop-up camera design (it never gets old). Owning a Lambo *surprise* has not fundamentally changed me. I’m still really, really not rich. Most people didn’t even notice the flashy Lambo logo on my phone. Funny enough, people still only notice the pop-up camera and are still very much amazed by it. Like a true luxury item, the price really doesn’t make sense. But that doesn’t take away from the fact that it’s an awesome, awesome device — if you can afford it. In the meantime, I’m unsure of how to live my life if I have to go back to charging my phone for more than 35 minutes. Let me leave you now as I sip on not Moet to ponder on my dilemma.